Categorized as: Stories on August 9, 2014. Skees Family Foundation Director Suzanne Skees traveled to Africa with The Grameen Foundation to gather stories of their efforts to end poverty through technology. 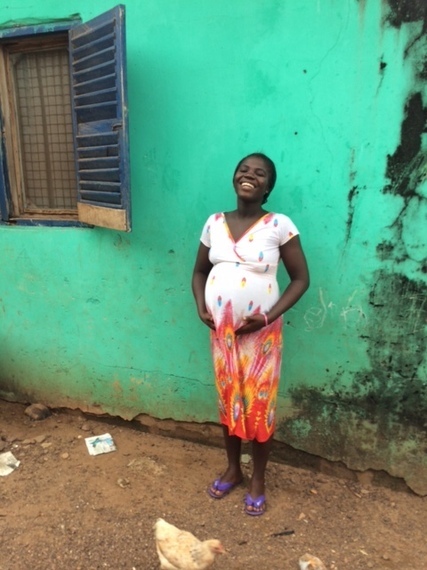 The story of Leticia, a pregnant mother in Ghana, shows how even the poorest families can change their future when given half a chance. 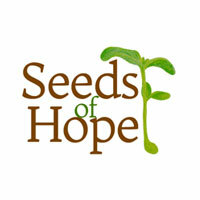 Editor’s Note: Today’s Seeds of Hope story takes us to Ghana, where we meet an expecting mother enrolled in the Mobile Midwife program. Grameen Foundation extends their reach to the world’s poorest, with a focus on women, “We believe that all of us — even the poorest among us — can reach our potential if given access to the right tools,” says founder and president Alex Counts. Because Skees Family Foundation believes in the power of story to connect people around the world, we donated two weeks as a grant-in-kind, interviewing midwives, mothers, farmers, and bankers, all of whom gain access to markets, fair wages, and health and business information via Grameen’s innovative mobile-phone applications designed for and with the poor. 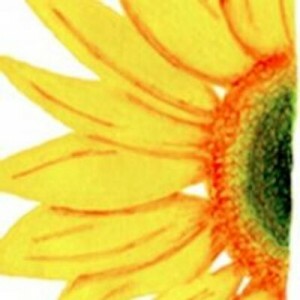 This story originally appeared on Huffington Post. 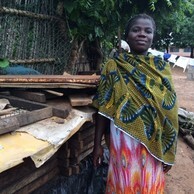 Mumford, Ghana: Bent over a wood-fired oven, drying the fish her husband caught yesterday, 29-year-old Leticia Sam blinks the smoke from her eyes, one hand stoking the fire, the other holding her swollen belly. Expecting her fourth baby, Leticia lives atop an old graveyard piled with trash, strewn with crumbling cinderblock homes and smoking fish ovens, strung with dusty lines of laundry. Dogs with hungry eyes wander aimlessly on dirt paths; chickens peck sharply at rubbish piled near headstones. The rotting coastal town of Mumford, where Leticia lives, is home to 18,000 residents packed together with no privacy, no greenery, and no fresh air. 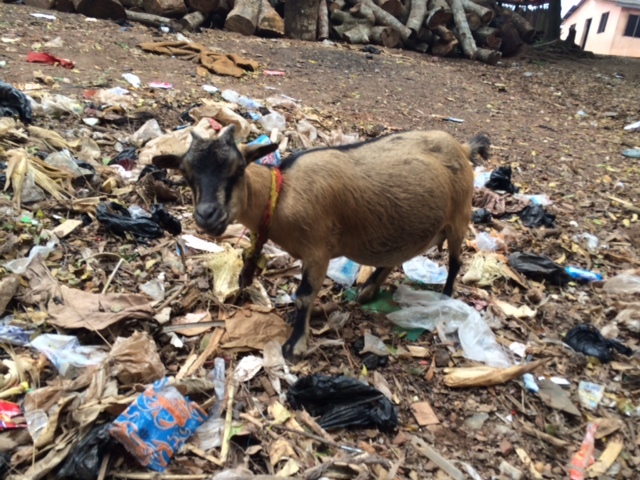 Piles of plastic trash line the streets and slide downhill to the beach and out into the Gulf of Guinea. 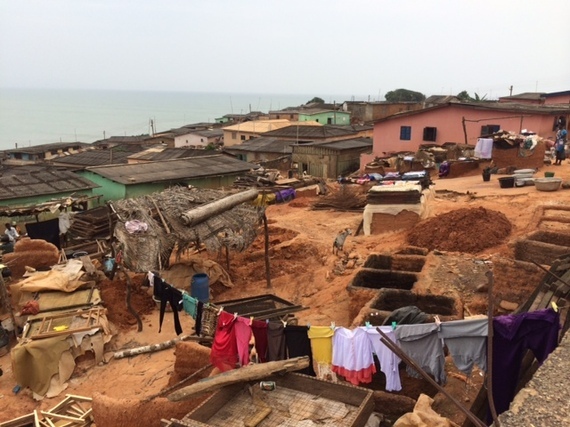 Just around the coastline from Mumford sits the infamous town of Cape Coast with its historic “Castle” (now a tourist location), whose dungeon imprisoned more slaves in transit to the Americas than anywhere else on Earth. Like so many of her ancestors who were captured and enslaved, Leticia has not always been free. Growing up in extreme poverty, she never had the chance to attend school. She found herself trapped in domestic abuse with her first partner and gave birth to a baby girl at age 19. The father was not interested in the baby and did not support Leticia or her child. When she went to visit him, she would find other women in his house — and then he would scream at her and hit her. “He was a womanizer,” she shakes her head when we talk on a bench in the cemetery, near her fish-oven. “He beat me,” Leticia says. “I was going to report him to the police, but I never did. I tried staying away from him, thinking, surely he would come for me and our daughter, but he never did.” Dressed in a secondhand polyester dress with a bolt of African fabric tossed over her shoulders as a scarf, Letitia carries only one possession: her mobile phone. Having summoned the courage to leave, Leticia later met “a very good man,” her current husband. She’s still poor enough to ask me for money — of the dozens of clients I’m interviewing this month in Ghana, Zambia, and Uganda, she is the only one who dares to ask — yet in many ways, Leticia has launched a new life with measurable improvements; and it all began with a phone call from Mobile Midwife. Mobile Midwife is a mobile-phone app developed by U.S. nonprofit Grameen Foundation that aims to improve healthcare for pregnant and new mothers. When Leticia enrolled in the free program, she began to receive weekly voicemails translated into her local language. (Since Leticia and many rural Ghanian women are illiterate, they can’t access SMS text messages.) The messages remind her of upcoming prenatal care appointments and share information on how to stay healthy, what symptoms to expect, and which symptoms warrant a trip to the health clinic. If Leticia didn’t own her own mobile phone, she could give Mobile Midwife her husband’s or a friend’s number and access her messages with her personal, private PIN. The messages comprise a sort of audible What to Expect When You’re Expectingbook. The program costs Grameen Foundation and its local partners $12/year per woman. 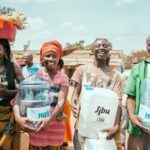 They’re experimenting with charging a sliding-scale fee that will use revenues from middle-class women (who are eager to receive Mobile Midwife messages and services) to support poor women, long after startup grants have ended–thus transforming itself from a donor-dependent nonprofit program into a sustainable social enterprise. Mobile Midwife is just one app (application) in a suite of healthcare services called MOTECH (Mobile Technology for Community Health) that address a range of issues such as malaria, HIV/AIDS, and tuberculosis, and includes a “nurses’ app” for inputting and uploading patient information to a centralized database. Why cell phones? Of the 7 billion people on earth, estimated 6 billion have access to a mobile phone. Cell phones are incredibly common even in the most rural areas, where more people have phones than toilets. 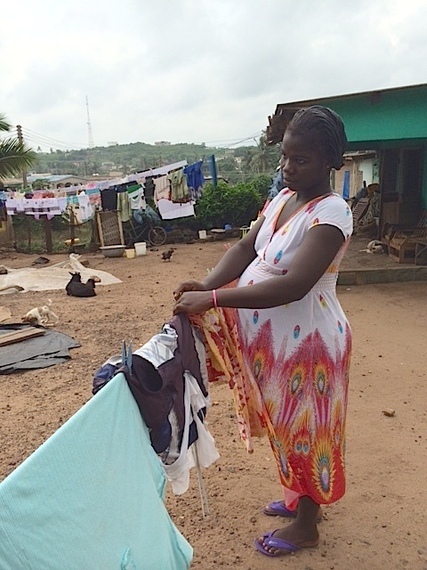 Wherever I go in Ghana, the mothers of Mobile Midwife tell me that they love the program. They feel a spike in their social status, and their husbands and neighbors listen with respect to the health messages delivered electronically. The women get voicemail appointment reminders in places where there is no paper calendar or computer in their huts or even the ability to read a calendar or text message: These moms have not had the chance to attend any school and are illiterate. Working in partnership with the government here, Grameen Foundation developed Mobile Midwife in conjunction with Ghana Health Service, which plans to take over the call center and program delivery. District director Patricia Antwi tells BBC News that “”We’ve also seen an increase in immunisation coverage, because the messages are around from pregnancy to the start of life. We’ve seen an increase in the number of mothers coming to the facility to deliver. And also we’ve seen that many more of the mothers are very knowledgeable about health issues. ” She hopes to secure funding to expand the program across all districts of Ghana. Mothers have a direct line through Mobile Midwife to their local nurses for any problems that may arise during pregnancy, breastfeeding, or child rearing. One mom told me that she learned to be more patient with her toddler; another mom discovered that fresh fruits and vegetables, taboo in traditional medicine here, have given her more energy than she had prior to her pregnancy. Traditional folklore about how the “evil eye” can hurt your baby, that eating eggs will turn the baby into a thief, and that herbal enemas can alleviate cramping, have given way to women eating more protein, fruits and veggies, and knowing when symptoms warrant a visit to the clinic. Membership in Mobile Midwife also gives Leticia and other mothers access to postnatal care for themselves and well-baby care for the first year. Leticia and her husband have had two more children together and are expecting their third any day now. They lost their second child, a son, at age eighteen months due to their lack of information and access to immunization: The baby had chicken pox and diarrhea, and by the time they finally took him to the hospital, his death was imminent. This won’t happen with her other children, who receive immunizations through the Mobile Midwife program. Leticia plans to deliver her new baby at the hospital. She has her birth kit all set to go — something else she learned from the program — with soap, diapers, and baby clothes. Her mother plans to take her to the hospital if her husband is out on his fishing boat. Unlike Leticia, who didn’t have a chance to attend even one year of school, her children are enrolled in the local private school. She’s happy to pay $5/year for a better quality education than they could get at the public school. She says she had a lot of problems with her first three pregnancies but is feeling fine with this one and looks forward to an “easy” birth. Leticia hopes to build up their current fishing business or some other industry with her husband, get out of the apartment they rent in Mumford, and build a house to leave as a legacy for their kids. Even if they never get out of the graveyard, her children will–though improved healthcare and education — undoubtedly have a better life, thanks to their mom’s willingness to get an education the only way she can: through the comforting voice coming through over her tightly-clutched phone. Photographs by Suzanne Skees for Skees Family Foundation. LEARN more about Grameen Foundation’s Mobile Midwife program here. DONATE to the Grameen Foundation by clicking here.